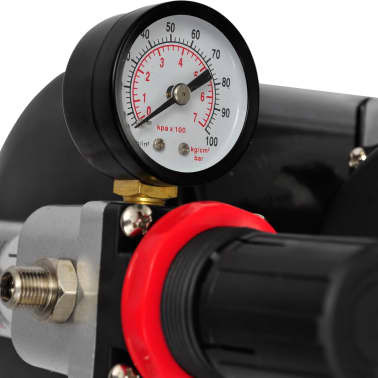 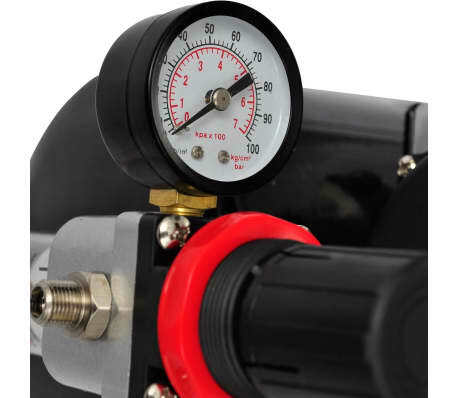 Power cord length: 5' 11"
A 3-way hose connector can be directly connected to the compressor or between the compressor and guns, giving a possibility for up to 3 connections simultaneously. 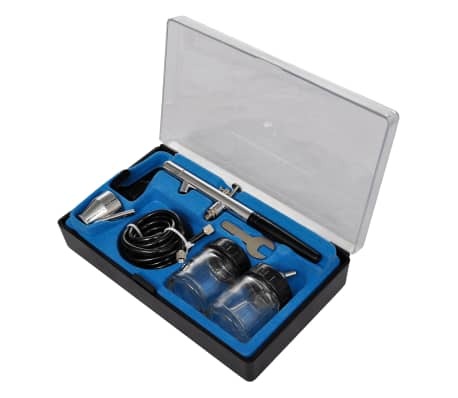 The cleaning pot is used to clean your airbrush without overspray. 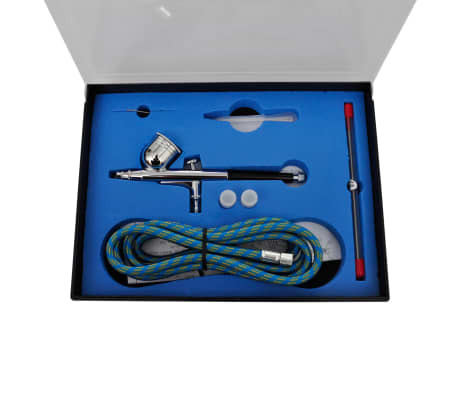 The airbrush holder can hold almost all types of airbrushes, capable of holding up to 4 brushes. 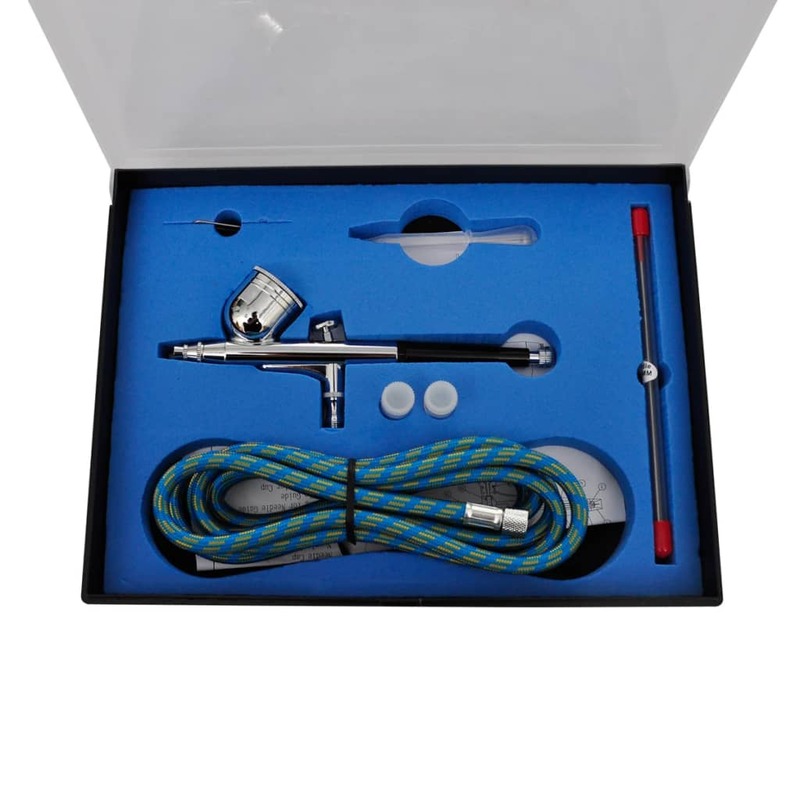 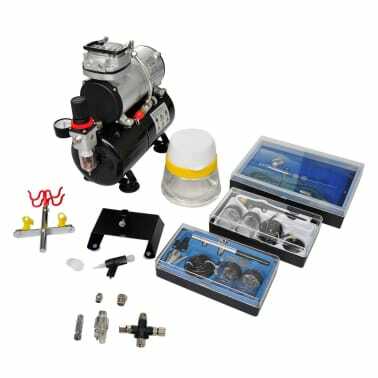 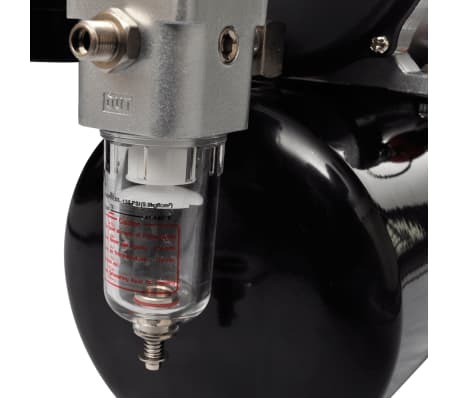 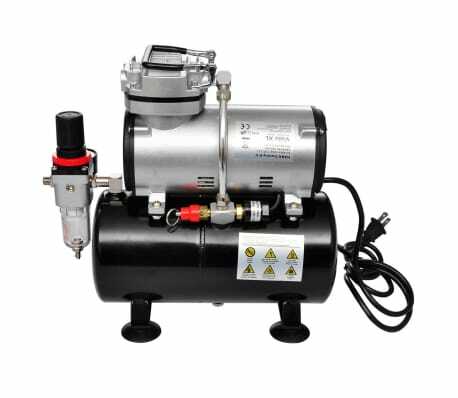 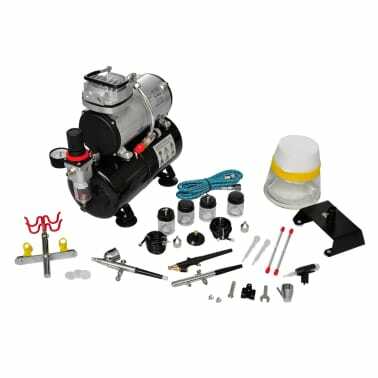 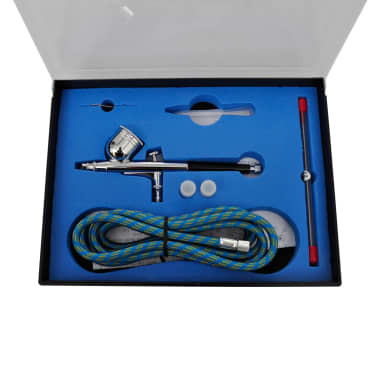 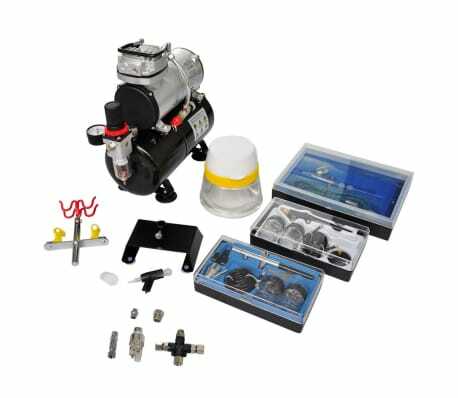 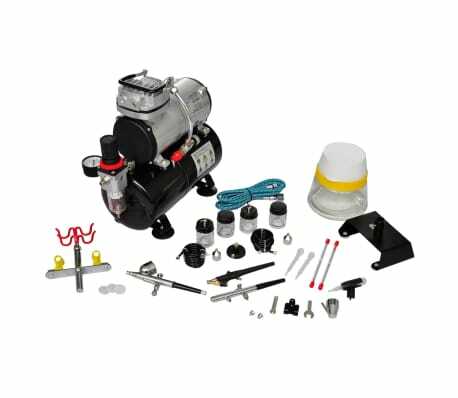 Delivery includes 1 x mini piston compressor, 1 x airbrush with single-function-7-piece set, 1 x airbrush with double-function-8-piece set, 1 x airbrush with double-function-9-piece set, 1 x 3-way hose connector with 2 stoppers, 1 x 3 in 1 airbrush cleaning pot, 1 x airbrush holder, 1 x mini filter, 1 x quick release, 1 x adaptor (M5x0.5 - G1/8") and 1 x connector (G1/8" female - G1/4" male). 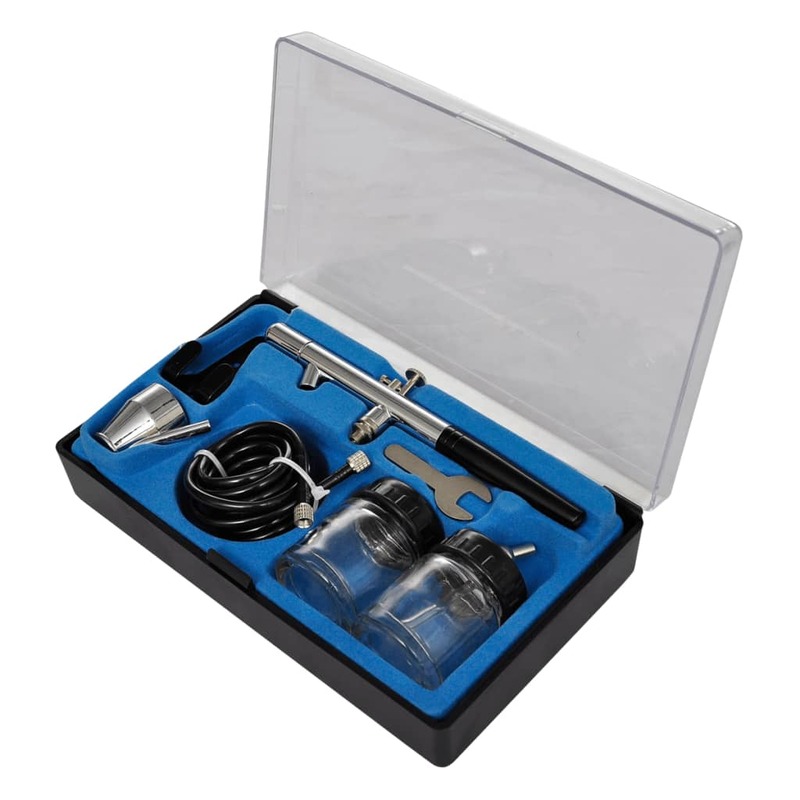 The airbrush set is delivered in a plastic case for easy transport and storage.